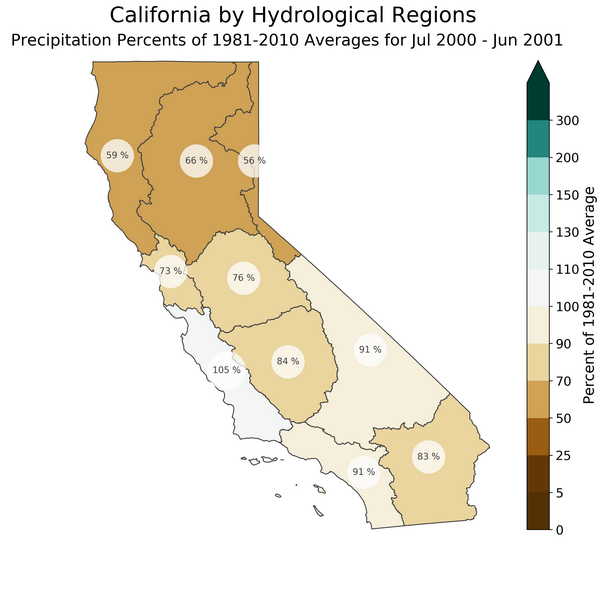 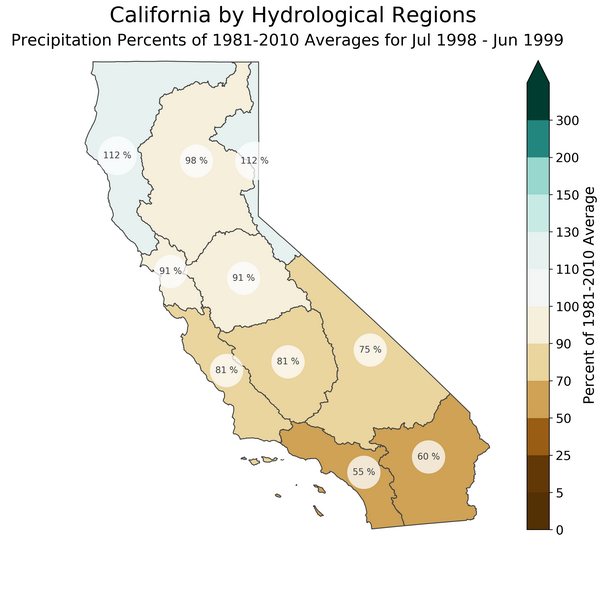 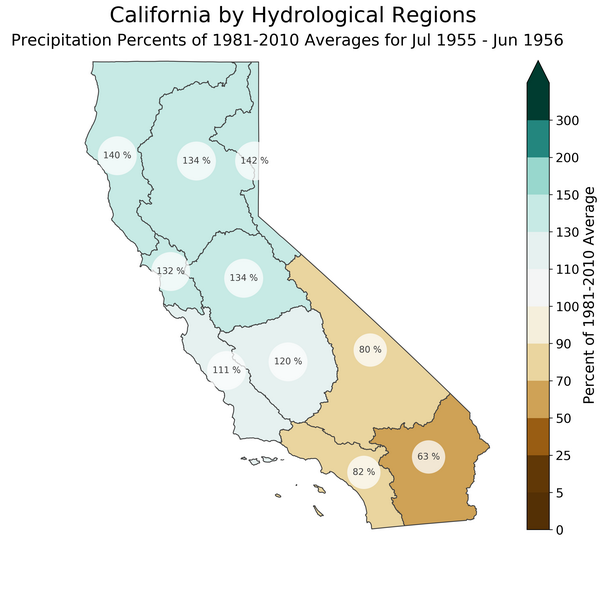 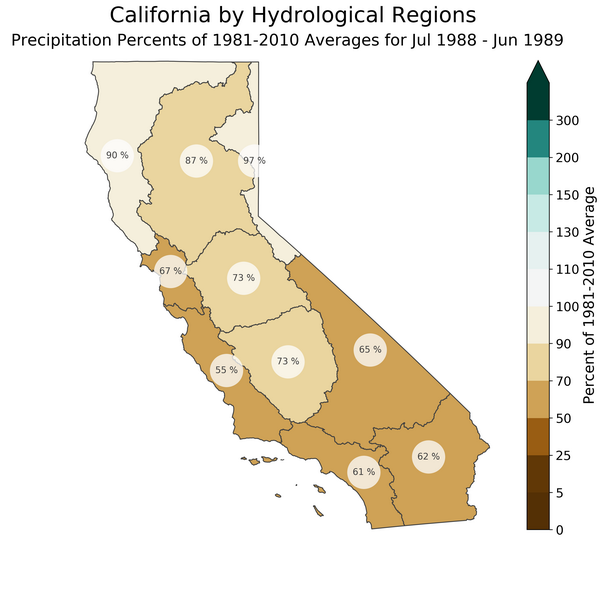 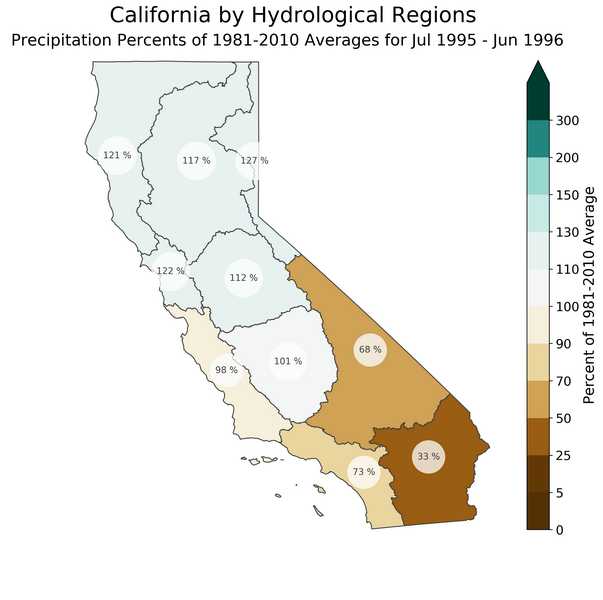 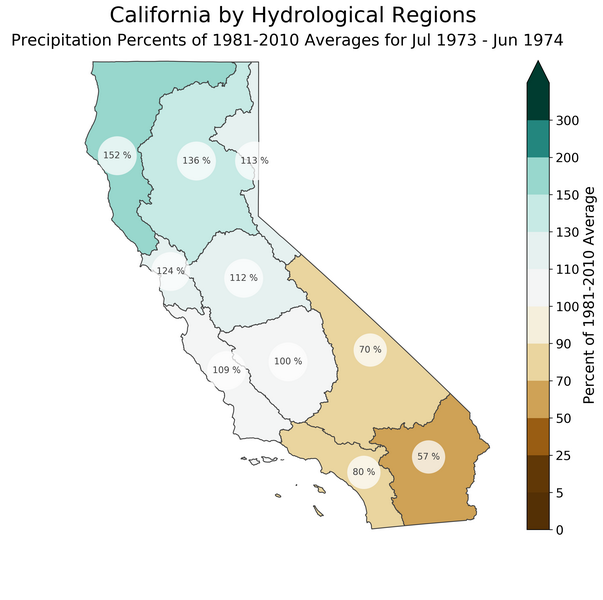 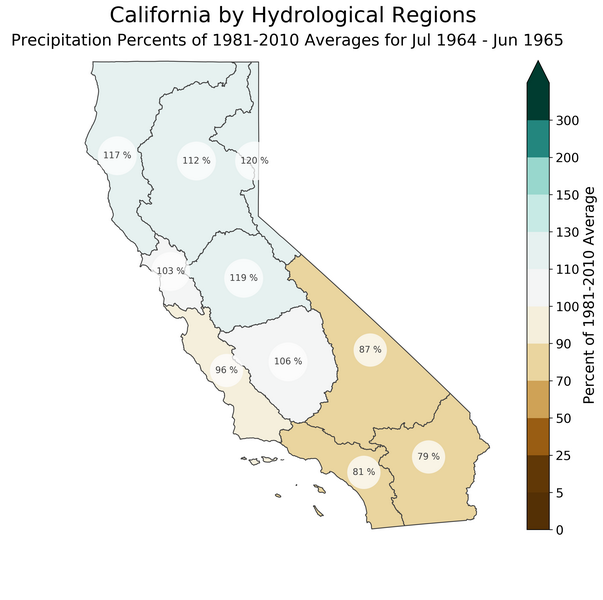 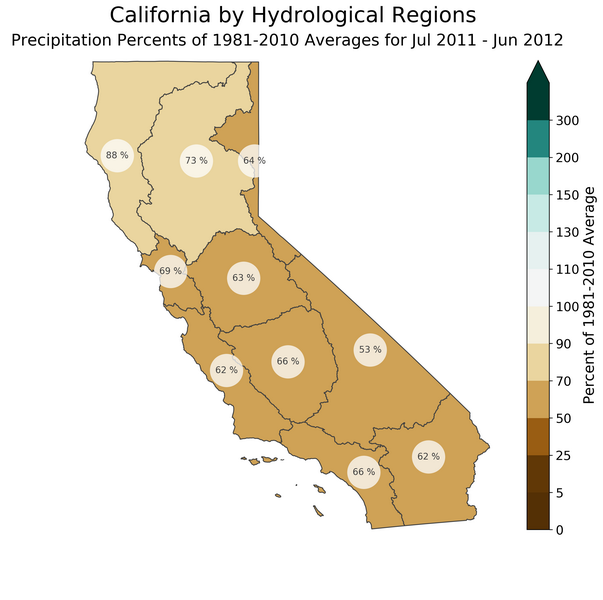 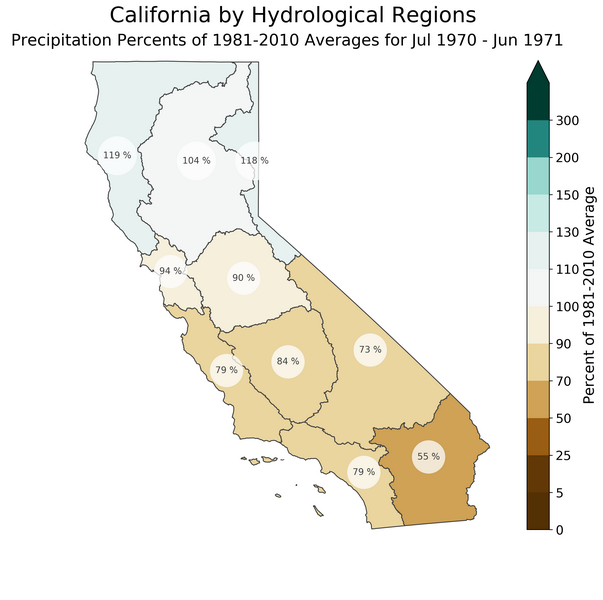 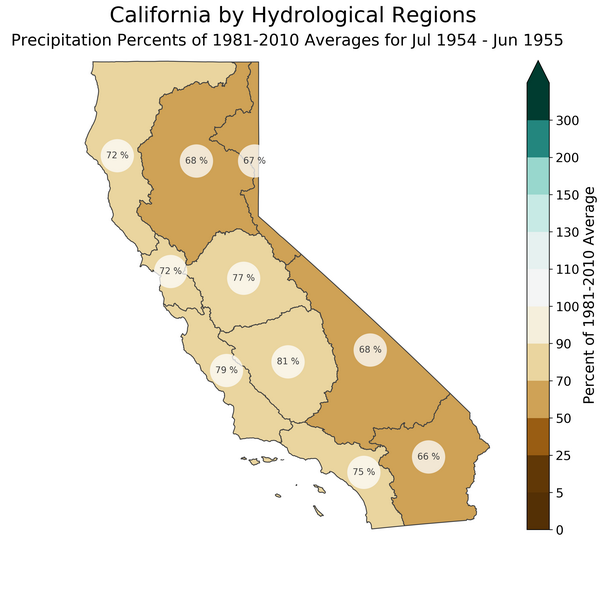 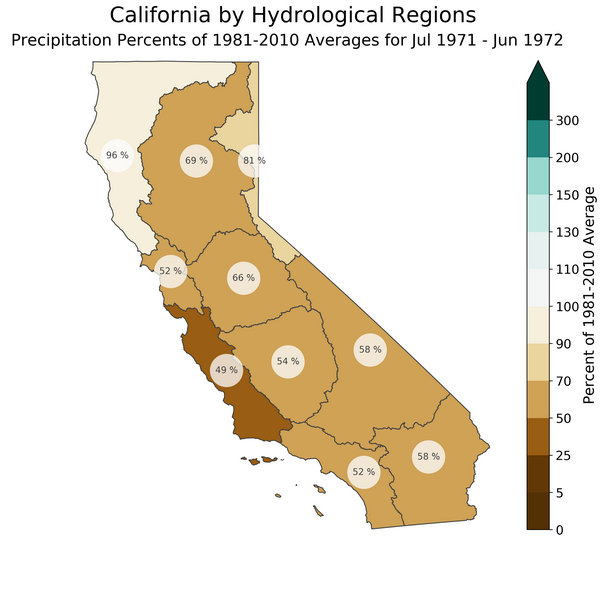 This is a catalog of California precipitation anomalies for previous la Niña events based upon their strength and the 10 state hydrologic regions. 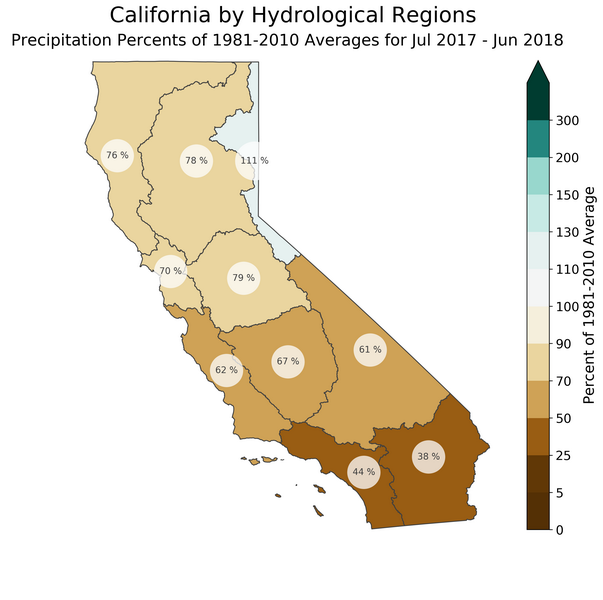 It has the average for all events, weak events, moderate events, strong and very strong events and the wide range of the individual seasons that went into making up each of the averages. 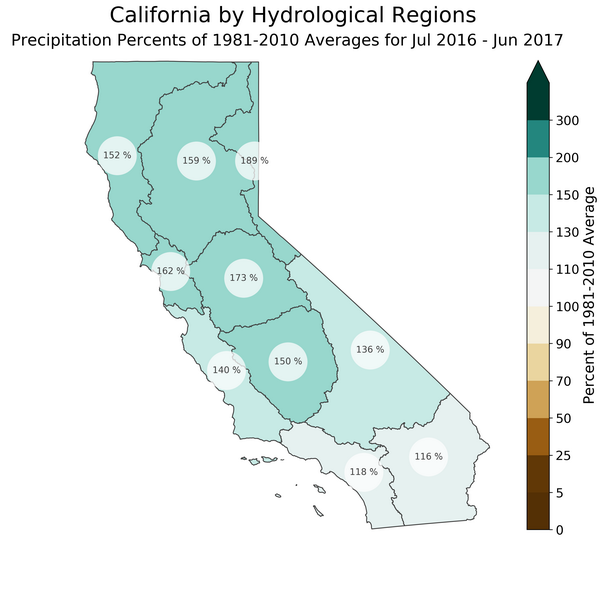 It cannot be stressed strongly enough that this is a climatological analysis and NOT a forecasting tool. This is especially true for the averages of different strength events which are made up of what are a very broad range of conditions; some that are decidedly atypical. 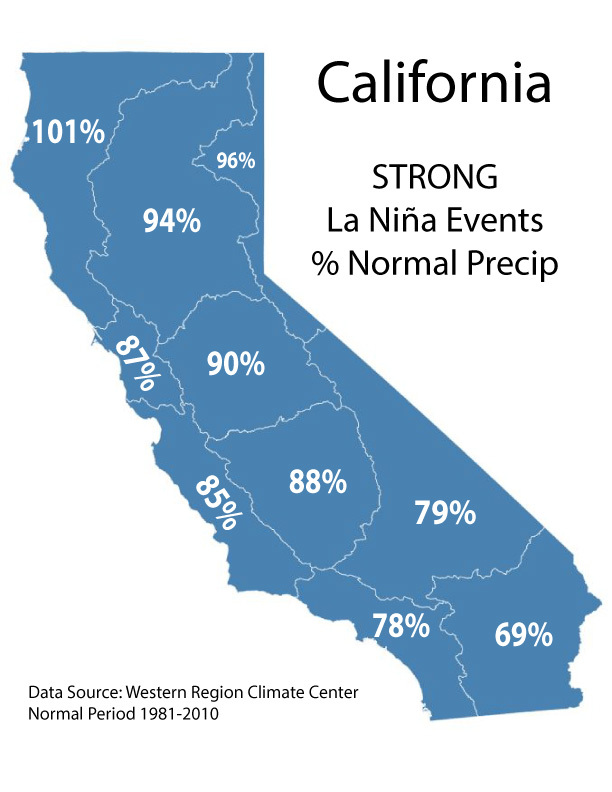 The Oceanic Niño Index (ONI) is used to identify El Niño (warm) and La Niña (cool) events in the tropical Pacific. 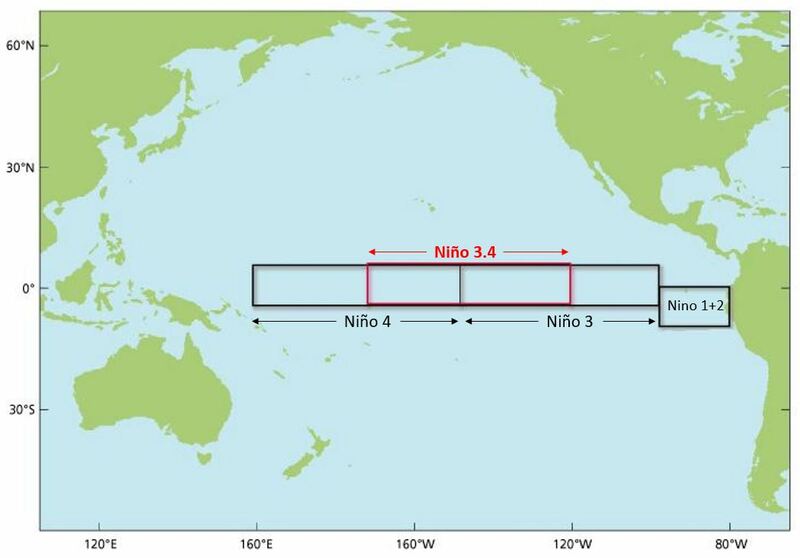 The ONI is the running 3-month mean SST anomaly for the Niño 3.4 region (i.e., 5°N-5°S, 120°-170°W). 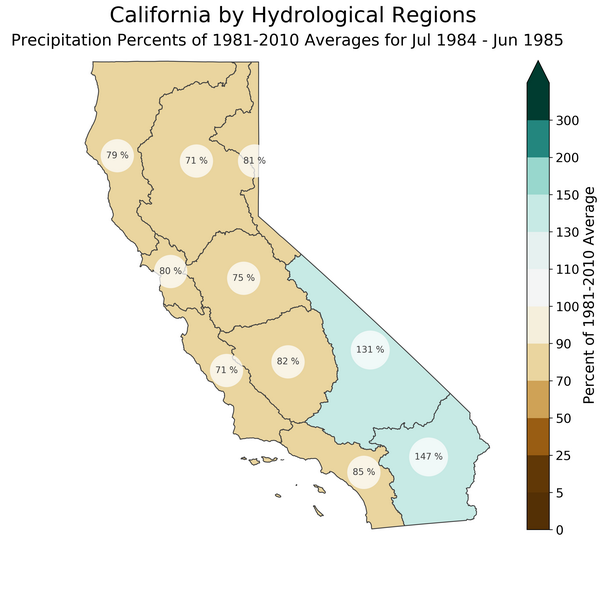 Events are defined as 5 consecutive months at or above the +0.5° anomaly for warm (El Niño) events and at or below the -0.5 anomaly for cold (La Niña) events. The threshold is further broken down into Weak (with a 0.5° to 0.9° SST anomaly), Moderate (1.0° to 1.4°), Strong (1.5° to 1.9°) and Very Strong (≥ 2.0°) events. 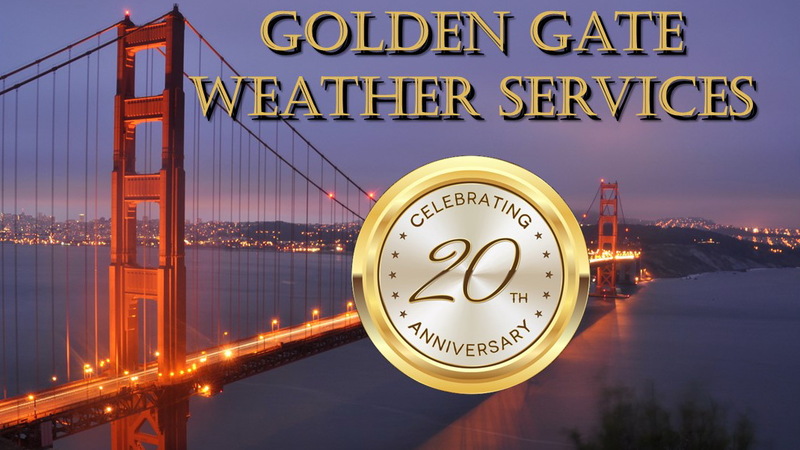 For the purpose of this report for an event to be weak, moderate, strong or very strong it much have equaled or exceeded the threshold for at least 3 months.